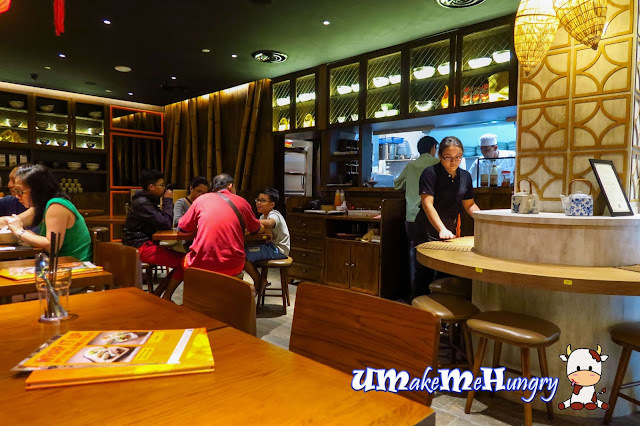 While exploring the revamped IMM, it had given me a handful of surprises with bigger shop spaces and more selection of retails as well as eateries. We spotted The Orange Lantern at the 2nd level and was attracted to the Vietnamese Cuisine. We know of The Orange Lantern years back through the outlet in Harbour Front. Interior was pretty modern with food furnishings, bamboos decorations and of course you will notice the lanterns hanging as part of their decorations living up to its business name sake. 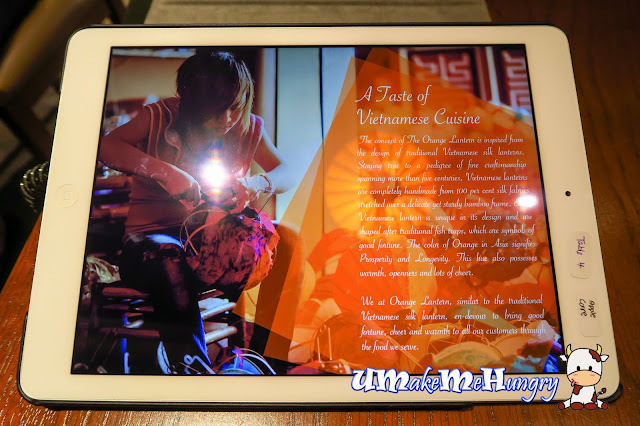 Ordering was made easier with the use of Ipad which is secured to the dining table. However, the hard copy of the menu is still available if you are keen on it. We had the set menu for 2 at $39 which allows us to have a choice of appetizer, 2 main courses and choice of 2 drinks from the drink list. This is a total new drink to me. 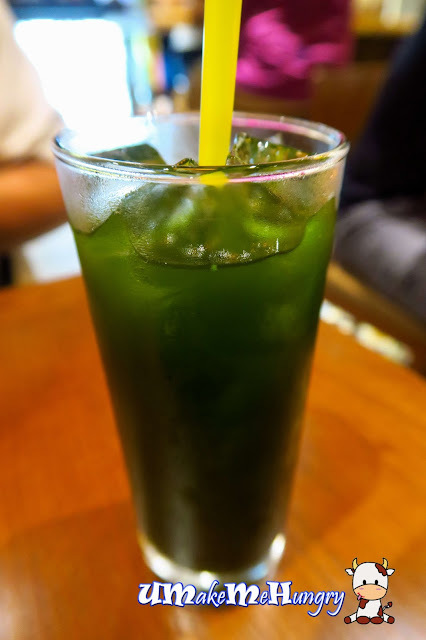 The Penny wort leaves were blended into sweet and refreshing juice giving out its natural dark green color. They have the advantages of being anti-viral, anti-inflammatory and aids in improving your memory. While my dining partner was a little bit more traditional here, following the vietnamese way enjoying dripping imported vietnamese coffee with sweetener milk. Coffee can be served hot or cold at your choice. 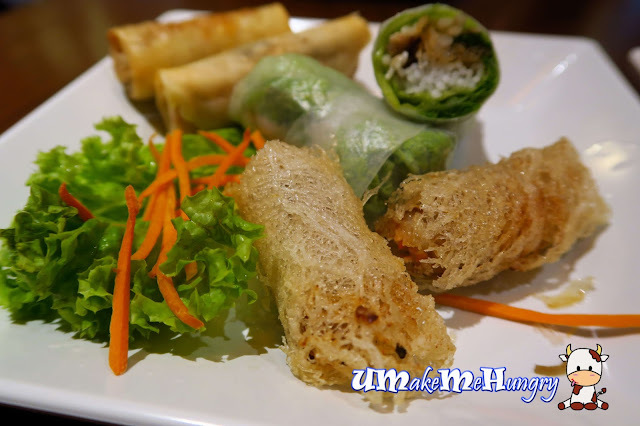 Making a choice between salad or spring rolls, we enjoyed the superior combination of their spring rolls platter which includes, their delicious Rice Paper Rolls, Imperial Rolls and Spring Rolls. 2 kinds of dipping sauce were given too. 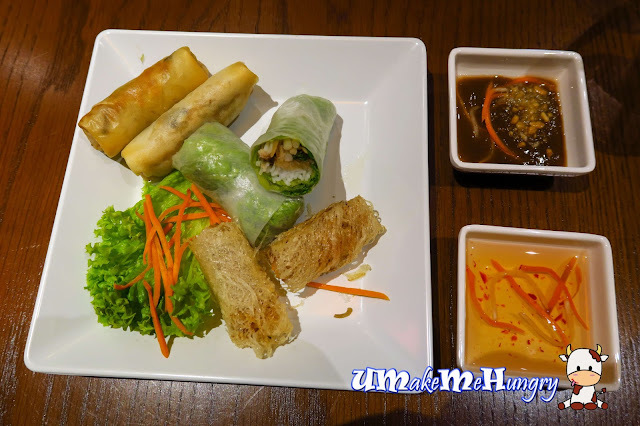 As I seldom have fried spring rolls from the Vietnamese Cuisine, I find that their Imperial Rolls were not too oily, best of all was a good texture, lending a good crispy bite as we sunk our teeth in. 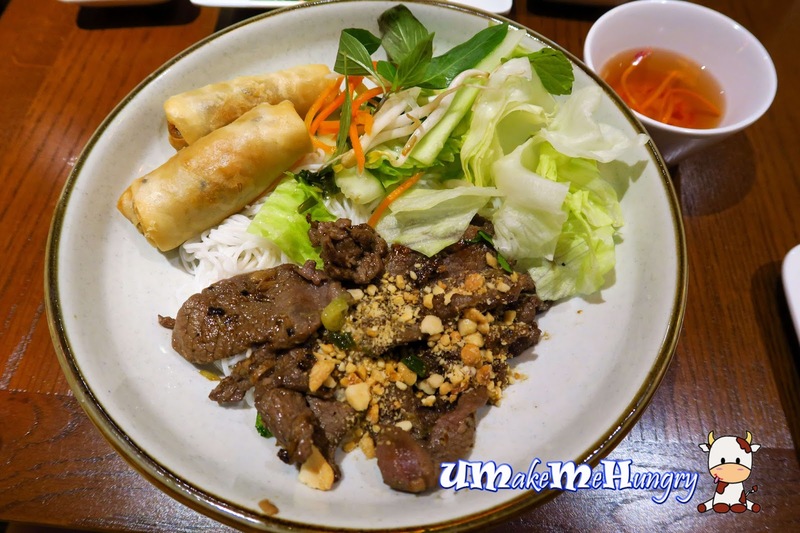 If you know me well, Vietnamese Cuisine simply means a bowl of Pho and good summer rolls, thus this is something I will not skip for sure. Soup is tasty but not the best I had so far in Singapore. 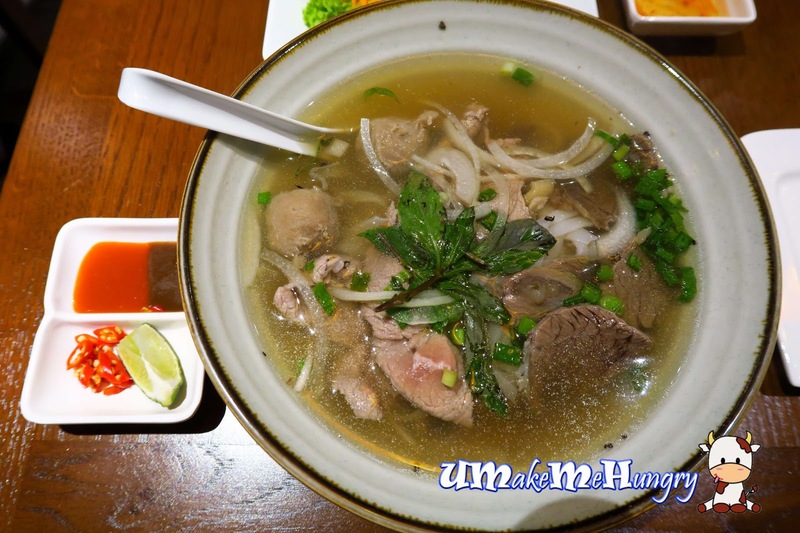 It has a mixture of sliced beef, beef brisket and beef balls with their silky Vietnamese rice noodle. Rice Vermicelli without soup was something we seldom order. The grilled beef was beautifully marinated with lemongrass and together served with fresh lettuce, spring rolls, bean sprouts, basil leaves, cucumber and their own special Vietnamese nuoc mam (dipping sauce). 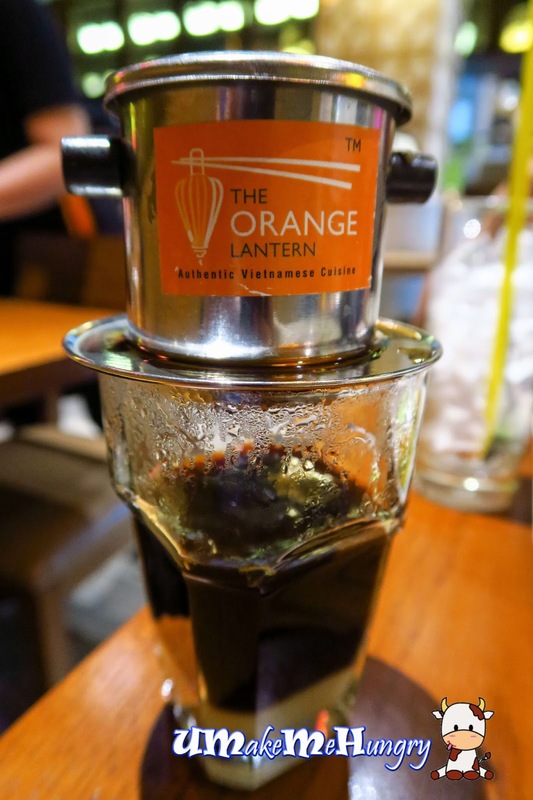 A little good news to Muslim pals who want to enjoy Vietnamese meal ~ The Orange Lantern is Halal Certified. Overall experience was pleasant with friendly service and efficient serving.